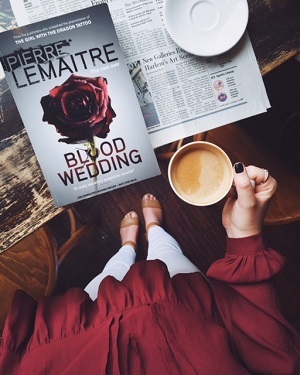 It’s my absolute pleasure to welcome to CBTB today Pierre Lemaitre, the author behind arguably my favorite psychological thriller, BLOOD WEDDING, and the brand-new THREE DAYS AND A LIFE, which releases from Quercus today, 11/7/17! Lemaitre is an award-winning author and screenwriter—in 2013, Lemaitre received the Prix Goncourt, France's top literary prize, and his novels Camille and The Great Swindle won the CWA International Dagger in 2015 and 2016, respectively. It’s an honor to welcome Lemaitre to the blog to discuss his newest novel THREE DAYS AND A LIFE, his brilliant thriller BLOOD WEDDING, the inspiration behind his work, his upcoming projects, and much more. This is truly one of the most thoughtful Q&A’s I’ve had the pleasure of hosting on Crime by the Book, and I hope you will enjoy reading it as much I have enjoyed putting it together! You can catch my reviews of THREE DAYS AND A LIFE and BLOOD WEDDING on CBTB—these are two very different kinds of novels, both written with the beautiful prose and distinct style that make Lemaitre a standout. Fans of dark and shocking psychological suspense will love BLOOD WEDDING; readers looking for a subtle and refined character study will find THREE DAYS AND A LIFE up their alley. Many thanks to Pierre for taking the time to answer my questions so thoughtfully, and to the publisher for facilitating this Q&A! But the boy's death continues to haunt him, shaping his life in unseen ways. More than a decade later, Antoine is living in Paris, now a young doctor with a fiancée and a promising future. On a rare trip home to the town he hates and fears, Antoine thoughtlessly sleeps with a beautiful young woman from his past. She shows up pregnant at his doorstep in Paris a few months later, insisting that they marry. Meanwhile, the newly discovered body of Antoine's childhood victim means that the case has been reopened, and all of his old fears rush back. With the gravitational pull of his hometown strengthening its grip, Antoine may finally be forced to confront his past. Is he prepared to do what he must to keep his darkest secrets buried? Crime by the Book: Where did you come up with the idea for THREE DAYS AND A LIFE? Pierre Lemaitre: The idea of childhood and the idea of crime are antagonistic ideas: in childhood we associate readily images linked to naivete, to innocence. At first, a “criminal child” is in itself a challenge to our representations. That’s the reason why this novel is a Noir novel and not a crime novel. CBTB: THREE DAYS AND A LIFE is, in many ways, an intimate portrait of small-town life. Was this setting inspired by a place you have lived? Or is it entirely fictional? PL: All provincial towns in France resemble each other. But they’re not very different than provincial towns regardless of the European country. I’m certain that the story could have taken place in Ireland, in Germany, or in Finland. I’m certain that all of these towns operate in the same way: through a permanent spreading of rumors, a mistrust of others vis-à-vis others but they are also capable of unexpected solidarities in circumstances beyond one’s control. CBTB: The main character of THREE DAYS is a man who, in his childhood, committed a terrible crime - and now he must live with the knowledge of what he’s done. How did you get inside the head of this character? What inspired you to write about him? CBTB: THREE DAYS is a bit of a departure from your darker, more violent books like BLOOD WEDDING and the Camille Verhoeven trilogy. Why did you choose to explore a new style of writing in this new release? PL: This is the kind of question that I never ask myself. When I have a good idea, I mean to say, an idea which suits me, I make it in to a novel. If the idea is that of a crime novel, then this novel is a “thriller,” that’s all. For “Three Days and A Life” I had the choice to make a thriller or a Noir novel: what I desired to show consisted more of a Noir novel, that’s all. CBTB: When looking back on the books you have written, do you find that there are common themes that you tend to explore in your writing? Or is each book entirely its own? PL: A novelist is someone who has two or three things to say and who tries, book after book, to say them in the best way possible. The entire work of Proust or Modiano illustrates this idea. As far as knowing what the dominant themes of my own work are, I have a certain idea of them but I leave it up to the readers or to the analysts to discern them. CBTB: Your book BLOOD WEDDING is a longstanding favorite of mine - I think it must be one of the best psychological thrillers I have ever read. 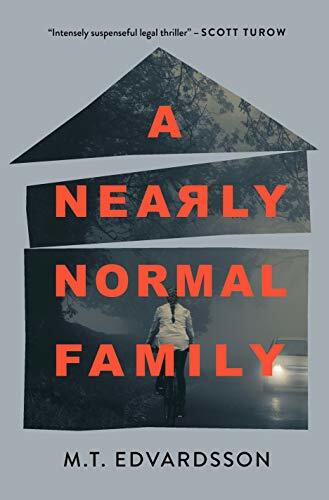 It’s such a visceral and unnerving read, with so many surprises in store for the reader. Where did the idea for that story come from? PL: To be honest, I have a great regret that this book, Blood Wedding, was not crowned with The Dagger: it’s a perfectly Hitchcock-ian novel (besides, it was composed with the goal to pay homage to this master of the crime story) while The Dagger was awarded to The Great Swindle [another Lemaitre title]…which was not a crime novel. Frankly, these decisions are quite strange. To reply to your question, I imagined this book, saying to myself, “I’m going to create a novel that Hitchcock would say, ‘This book is for me!’” Obviously it’s quite flattering for me to imagine this but at least, that was the goal of the book. This is a period where I liked to start with an idea (though today I like to begin with characters.) For this one, the idea started with a title of an essay of clinical psychology by Howard Searles which, in French, is titled, “How to make the other crazy.” This title was a perfect project for a crime novel. Sometimes, ideas don’t make bad books. But for some months I’ve been reading or re-reading many crime novels because I’m writing a “Dictionary for Thriller Lovers.” I like this project which was proposed to me by the publisher, PLON. It involves writing short notes like those for an encyclopedia but selecting only what I like. I’m under no obligation that it be exhaustive. My only obligation is to speak about what I like. It’s a delight.